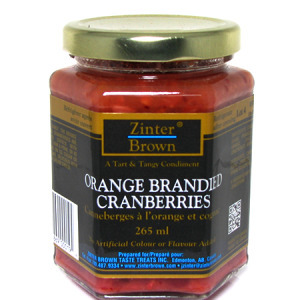 Zinter Brown Brandied Orange Cranberries infuses the tangy zest of cranberries with the tried and true combination of sweet oranges and flavourful brandy. With just the right amount of sugar and spices, your taste buds will scream for more! 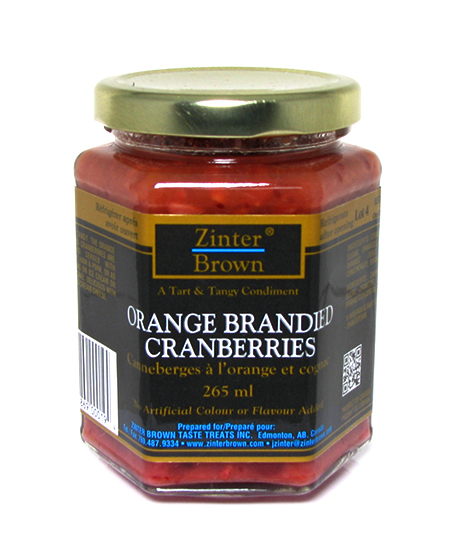 Substitute Zinter Brown Orange Brandied Cranberries for the orange glaze in duck orange sauce recipes. Brandied orange sauce is also well suited to poultry, ham or pork. 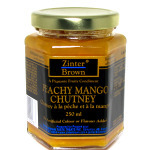 Or try a dollop of this gourmet orange sauce on ice cream or cheesecake. 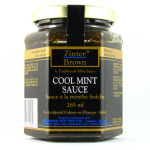 No need to search through delis or gourmet markets...all our Zinter Brown products are available online by the jar or in gift baskets. You can always count on our unwavering standards of quality and freshness. We hope you enjoy our brandied orange sauce with cranberries!